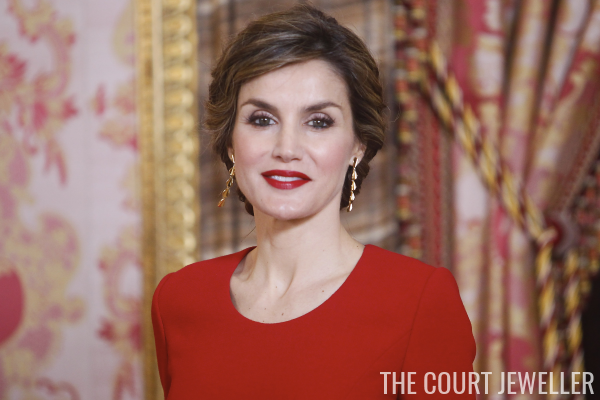 Here's a closer look at the long gold earrings, which are by Tous. The pair has a single gemstone embedded below the stud portion of the earring. 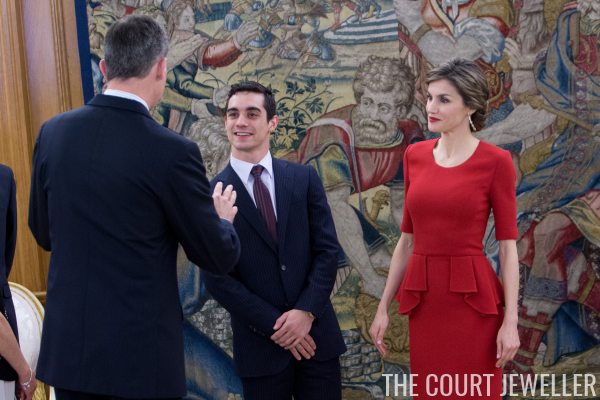 The earrings were on display as Letizia congratulated Javier Fernandez, Spain's world champion figure skater. They were also glittering during a luncheon for Fernando de Paso, the writer who was awarded the Cervantes literary award this weekend.